BELOW ARE LINKS to essays about the history of audio-recording & record companies in the Northwest. From the first field trips here by outside companies seeking to record local talents back during the Roaring '20s; to the founding of early homegrown studios and pioneering record companies; to notable early regional radio hits and singing stars; the rise of legendary sound engineers like Joe Boles and Kearney Barton; and the back-stories of numerous successful local labels. 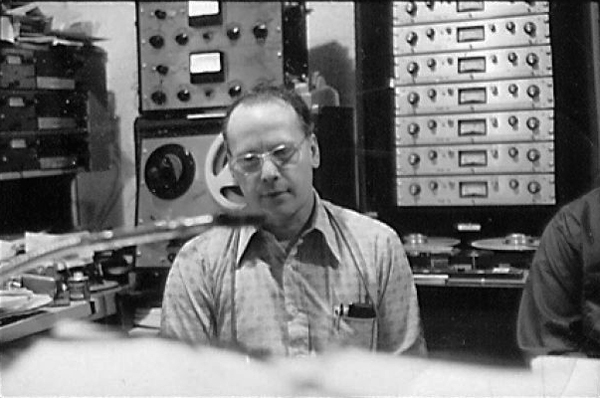 "Recording Studios of the Pacific Northwest (1940—1960s)"
"Aragon Recording Studios & the Vern Mallory Orchestra (1944—1945)"
"The Mastersounds Jazz Combo Records in Seattle (1957)"
"Kearney Barton: The Man Who Engineered the 'Northwest Sound'"
"Dolton: The Northwest's First Rock 'n' Roll Record Company"
"The Northwest's 1st 'Sampler Album' (1959)"
"Seafair Records: Seattle's Swingin' '60s Music Company"
"Nite Owl Records & Everett's '50s R&B Stars: The Shades"
"The History of Northwest Rock: Vol. 1"
"Camelot Records: Seattle's 'Lost' Label of the 1960s"
"The History of Northwest Rock, Vol. 3: Psychedelic Seattle"